Leslie Leigh Hunt III, of Shirley, Massachusetts, passed away on March 22, 2019 after a long illness. He was born in Austin, Texas in 1947, son of the late Leslie and Evelyn (Oakes) Hunt. His music-loving parents initiated a life-long passion for classical music, playing 78 RPM symphony recordings for him while still a newborn. Beginning flute lessons at an early age, he studied with David Vornholt of the Dallas Symphony. Upon graduation from Bryan Adams High School in Dallas he was awarded a scholarship to attend New York City’s Manhattan School of Music, where he was privileged to study with the legendary flutist William Kincaid. 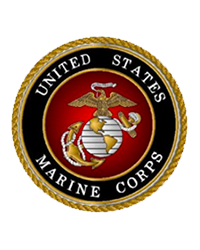 Immediately upon graduation Les was sworn into the U.S. Marine Corps for duty with “The President’s Own” United States Marine Band in Washington D.C. He spent the next thirty years on the principal flute stand in the capacities of assistant principal, co-principal, principal flute, and piccolo. Included in his duties were numerous concert tours nationally and abroad, solo performances, recordings, and performances before seven U.S. Presidents at the White House, as well as many visiting heads of state. During the 1990’s he was also principal flute of the Annapolis Chamber Orchestra and flute instructor at the Catholic University of America. After retirement, he and his wife Jennifer settled in the Boston area, so that Jennifer could pursue her career as a music librarian while Les worked for Burkart-Phelan, Inc., flutemakers. Both Les and Jennifer played in the flute section of the Metropolitan Wind Symphony. Les is survived by his wife, Jennifer Anne (Barrett) Hunt of Shirley, sister Janet Evelyn Hunt of Framingham, sons Timothy Patrick Hunt of Takoma Park, MD and Stephen Daniel Hunt of Centreville, VA, and three grandchildren. He attended Mass at Saint Benedict Abbey of Still River, MA as well as with the Congregation of Saint Athanasius in Boston. In lieu of flowers, memorial donations may be made to either of these. Relatives and friends are respectfully invited to attend a Mass of Christian Burial at Saint Lawrence’s Church, 774 Boylston St. (Route 9), Brookline, MA on Thursday, March 28th at 11 AM. Interment will be at a military cemetery at a later date.